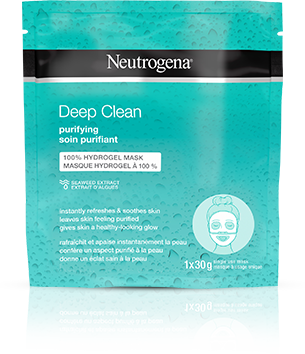 NEUTROGENA® DEEP CLEAN® Purifying 100% Hydrogel Mask instantly refreshes your skin. 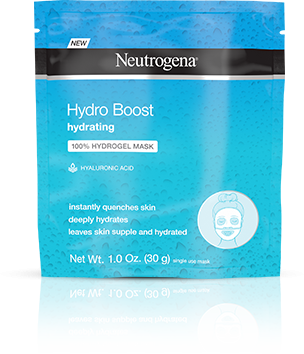 Made from a unique hydrogel material, this gel face mask holds up to 50% more essence than ordinary paper masks to leave your skin purified and with a healthy glow (based on mask fill weight of 20ml). The 100% hydrogel material contours to your skin and seals in the formula for optimal absorption to deliver clinically proven results. Gentle on skin, this purifying face mask is infused with seaweed extract to leave your skin healthy looking and purified. 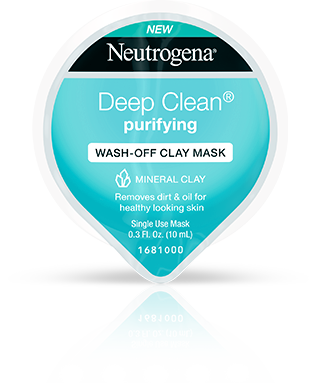 To give your skin an invigorating boost, use the face mask after cleansing with a DEEP CLEAN® Purifying cleanser. 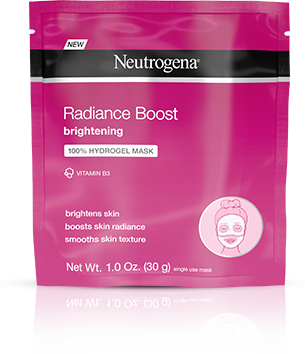 Apply the gel mask to your face and leave on for 15 to 30 minutes. Remove the mask and massage remaining product into face and neck, then rinse with water. 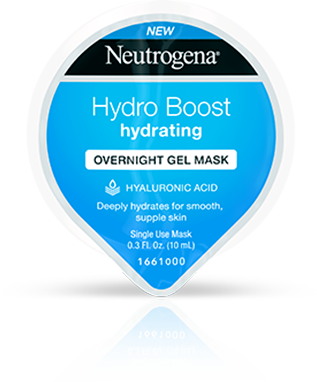 NEUTROGENA® DEEP CLEAN® Purifying 100% Hydrogel Mask is non-comedogenic. Directions: Cleanse your face. Peel white film backing from the mask sheet & discard. 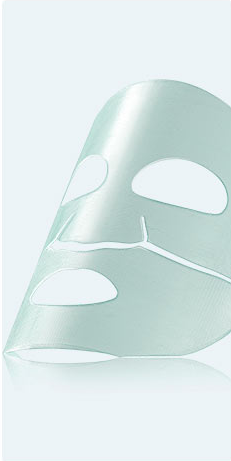 Place hydrogel down on face and leave on for 15 to 30 minutes. Remove the mask and massage remaining product onto face and neck. Rinse with water. Remove the mask and massage remaining product onto face and neck. Rinse with water.